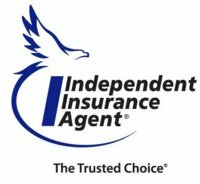 Established in 2000, Allegiance Insurance Group is a full-service independent insurance agency that aims to offer customers the right policies for a modest price. Based in Columbia, our agency serves customers in Lexington, Chapin, West Columbia, Irmo and surrounding areas in South Carolina. Our agents understand your time is important, which is why we shop for insurance products on your behalf. We work with a network of trusted insurance providers so we can find the best match for your needs. Whether you’re looking for personal insurance products to protect your family or commercial insurance products to protect your business, we’re equipped to offer you the right solutions. One way we work to help make insurance easy for you is by offering free information here on our website. You can learn about different products and the benefits of personalized coverage. Then request a free quote 24/7, whenever it’s most convenient for you. Whether you’re looking for insurance, retirement plans or simple advice, Allegiance Insurance Group can help save you time and money. Shopping for insurance may not be your idea of fun, which is why we take the burden off of you. Contact us online or by phone at 803-546-4707 or drop by our office today for more information about how our agency can help protect you, your family and your business through the use of custom-tailored insurance policies and well-crafted financial advice. With a fairly descent driving record, Allegiance Insurance Group offers cheap auto insurance for all residents of South Carolina. Call us anytime, to see just how much we can save you and your family today! Automobile Insurance Quote, If you need and instant South Carolina SR22 Policy filed, we can do it! Call us anytime at (803) 546-4707 to bind your coverage today!